A Pennsylvania Democrat will have a voice in crafting the national party’s message after all. Rep. Matt Cartwright (D-Lackawanna) was selected as one of the three co-chairs for the DPCC today, along with Reps. Debbie Dingell (D-MI) and Ted Lieu (D-CA). Rep. David Cicilline (D-RI) will be the new chair of the committee. The Democrat from Northeast Pennsylvania was the only elected official seeking this position who represented a district that President Trump won in 2016. Cartwright carried the newly drawn 8th district in 2018 by about 10 points over Republican challenger John Chrin. Trump won the district handily in 2016 by close to double digits as well. Although Cartwright was the only official who represented a Trump district seeking a seat on this committee, he was not the only Pennsylvania Democrat in the race. Congressional member-elect Chriss Houlahan (D-Chester) who will represent the newly drawn 6th district in the Philadelphia suburbs also was vying for a leadership role in this committee. Houlahan was the only candidate for the DPCC co-chair race who was an incoming Freshman believing the committee needed a “candidate or congressperson in the post-Trump environment” in a leadership role, stated in a Roll Call story. PoliticsPA is seeking comment from member-elect Houlahan. The three DPCC co-chairs for this current concluding term are Reps. Cheri Bustos (D-IL), David Cicilline (D-RI) and Hakeem Jeffries (D-NY). All three members are remaining in leadership in new roles. Jeffries, who delivered the keynote address in the Pennsylvania Democratic Party’s Fall Meeting, will be the new caucus chair. Bustos will be the new chair of the Democratic Congressional Campaign Committee. Cicilline is the new chair of the DPCC. 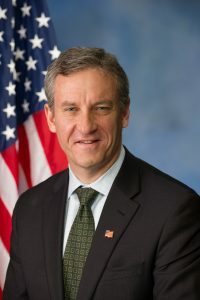 Cartwright is the only member of the Pennsylvania Congressional delegation who is set to be on the leadership team for the incoming session. Pennsylvania Democratic Party Chairwoman Nancy Patton Mills issued a statement on the new role for Cartwright. Leading into this week, Cartwright was also the only elected official contending for a leadership role that did not formally endorse Rep. Nancy Pelosi for Speaker of the House, according to Roll Call. During his 2018 re-election bid, he often had to distance himself from Pelosi, while his opponent and the Pennsylvania GOP stated he was beholden to her and the progressive wing of the party. Cartwright did vote for Pelosi yesterday in the leadership vote, according to the Scranton Times-Tribune. Cartwright cited Pelosi’s experience and leadership skills needed for the “very diverse” caucus into getting things done, specifically protecting Social Security and Medicare, lowering the cost of prescription drugs, making healthcare more affordable and fighting for veterans the Times-Tribune reports. He also stated to the Times-Tribune that he isn’t afraid of a future opponent using his vote for Pelosi against him. “It was a secret ballot, but I’m happy to tell you I voted in favor,” he said. I live in Montgomery County but am proud that I was an early donor to Matt Cartwright’s campaign. Looking forward to great things from Cartwright, an up-and-comer from Pennsylvania!